There's honestly nothing that really sets this movie apart from the second one. I loved Deadpool 1 and 2. 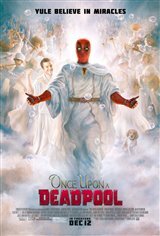 Once Upon a Deadpool is just a replay of Deadpool 2 with a few added/altered scenes. Not worth the money at the theatres.